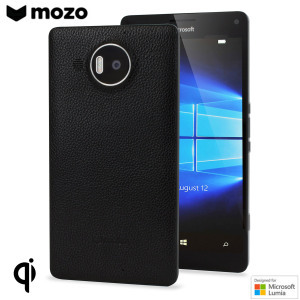 Mozo has some wireless charging back covers available for the Lumia 950 XL. The latest cover is made of wood, although it doesn’t say what kind, it seems durable enough to handle normal use with ease. This back cover will be replacing the back cover normally available for the Lumia 950 XL. This minimizes the extra bulk which you probably won’t even notice. This also lets the Lumia 950 XL have its Qi wireless charging available for use, even with Mozo’s other back covers since none of them use a metal cover. Along with Qi wireless charging, NFC is also available for use. 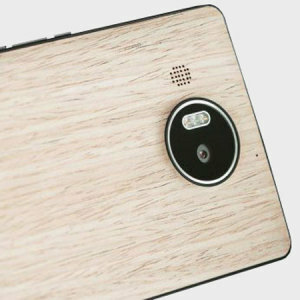 Mozo has lots of different kinds of back covers besides wood including: Black with silver, brown, red, and other colors. These versions will be using leather in exchange of wood and are a dollar cheaper. The wood version is available for $59 and the colored leather will be $58 at MobileFun.